Home / Blog / Happy Birthday to Us! 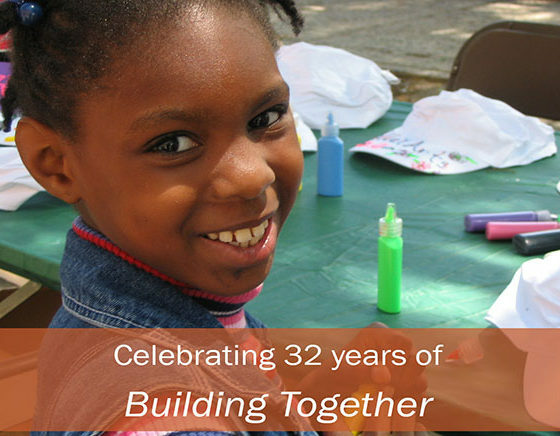 Thirty-two years ago today a group of clergy and community leaders founded HANDS (Housing and Neighborhood Development Services, Inc.) Today, we are going strong and taking on new challenges. Let’s take a moment to celebrate! For 32 years, HANDS has worked to make neighborhoods in the Oranges places where people can and do choose to raise their family and run their business. What does this mean to us? Thriving neighborhoods have attractive and safe streets, healthy buildings, green spaces, public art, good schools, plus a strong and supportive community. There is affordable housing, diverse employment opportunities, and good transportation. HANDS has achieved a lot, but we have much more to do! The scope of our vision is why we work in a wide range of neighbor-driven activities, with affordable housing, creative placemaking, and social justice as our anchors. Over the years, HANDS has developed about 190 deteriorated, pivotal properties into homes for more than 200 families and locally run businesses. In 2017, HANDS projects contributed almost $2million in property taxes just in the city of Orange. None of HANDS’ achievements would be possible without our founders, staff, board, and friends. Thank you for your support! Please pat yourself on the back and do something celebratory. Happy Birthday to all of us!! Community Leadership Awards 2017 Photos are Here!